Five years ago, my parents upped and left England, choosing to move to France, in the house they had bought a few years previously. At the time, I felt quite angry about it, as many eighteen year olds probably would, not fully understanding the decision and feeling a little left behind, abandoned, that sort of thing. Five years on, here I am living abroad myself, and I feel like I can completely understand the urge to up sticks and go. Living in a country which is not your own is a little strange. I truly believe most countries and people, at least those in Europe, are more or less the same aside from language issues, and a person can get down to it and cope living wherever they may choose. Speaking English has a wide range of advantages, and as I’ve said before, we’re lucky to have the world at our feet with it as our mother tongue. You have to adapt to a way of living you’re completely unaccustomed to; you have to learn another language and struggle speaking it as soon as you leave your house; you can’t buy the same things or have the same things available that you’re used to, and you of course have to make yourself new friends. Naturally, you become a little homesick. I go through periods of it, sometimes feeling myself melancholy for no reason and longing to see open green fields, be greeted as ‘love’ or ‘petal’ by shopkeepers, and being but a stone’s throw away from rolling hills and sparkling streams. I long to be understood by other people, wishing they were able to converse with me without it being massive effort on my part, or theirs, depending on which language we are speaking in. Then, I go through periods of jubilation, so happy to be here in my new, more fulfilling life. I sit on the train, looking through the window, and I can see the immense blue of the sea stretching out in front of me; craggy rock faces, and wiry shrubs poking from them, making for some spectacular viewing. I listen in to conversations, understanding the sing-song of Catalan, the up-and-down manner the Spanish speak in, tuning in to either language with ease and feeling proud because I can do so. I walk the streets of Gracia, and fall in love with it more each time, shady streets and pokey corners, teeming with life and trendy people sipping their coffees or beers. The sun brightens the open placa we reside in, children giggling, elderly nattering, and parents discussing. I feel at home. It is a strange feeling to be from one country and belong in another. I am lucky enough to have two homes, and I feel slightly like I am formed by two separate personalities. When I go back to England, I settle into routine easily, happy that I can buy what I want with ease, I can speak to whoever I like, and make polite conversation with people wherever I like, without having to think too hard. I love where I’m from; I miss Yorkshire and its friendly, open people, heck, I even miss the rain at times. 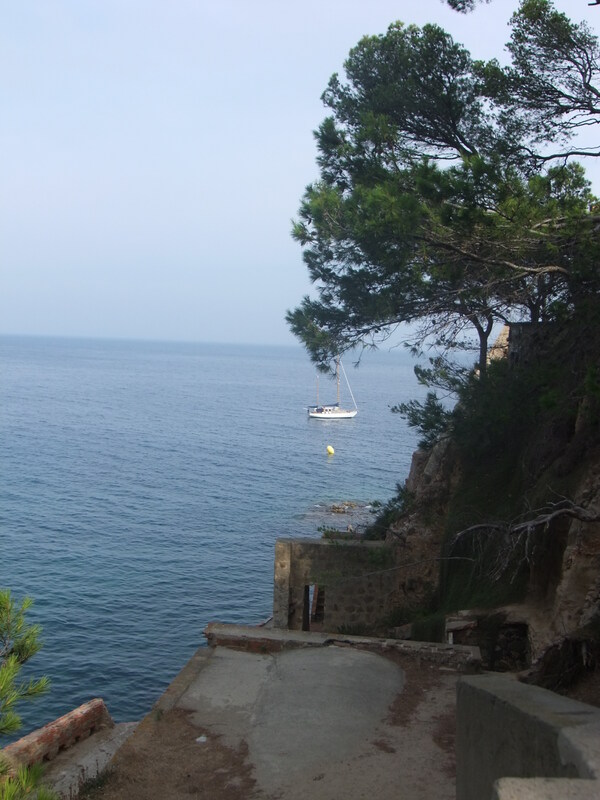 However, when I’m there, I find myself aching to return to Barcelona, as I’ve become so used to my life here. I want to stroll down sunny streets and stand still on an escalator, amble wherever I want, loving the laid back attitude to life people have here. I want to sit with my head down in a verb conjugation book, stand behind a lectern and wave around like a ninny at people who might have no idea what I’m trying to teach them. I suppose it becomes easier with time; a transition that doesn’t come at once, but comes with patience and gradual realisation that your country isn’t going anywhere, especially with air fare being what it is these days. I never thought I’d be here forever; I always counted on returning home at some point. What if this is going to be the place I call home for the rest of my life? We as people are so capable of change, so adaptable: it can’t be too difficult. At the moment I’m slowly trying to get out of the habit of making comparisons left, right, and centre, trying to remember it’s a whole other country, and we all have differences. I feel like I will always hold England as the example, the way everything should be run; which I know isn’t right to do, but I spent twenty-two years there, and it’s only natural that I should be doing that. I would urge anyone to live abroad for a period of time in their life; I think it opens your mind, you can learn so much, and potentially another language which should be important to any sort of person. You meet new people, experience another culture, and grow as a person. Perhaps, like me, you will even have the good fortune to make your future the way you want it in your new-found homeland.